In the cold wet winter it is a good time to plan where to visit as the year improves. 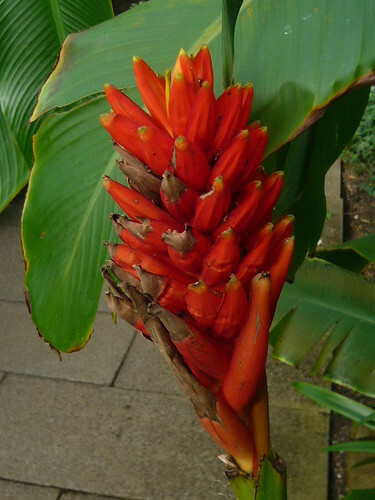 The South West is the obvious place to start your visiting tour of gardens containing exotic plants. La Seigneurie in Sark has tall walls to protect from wind. 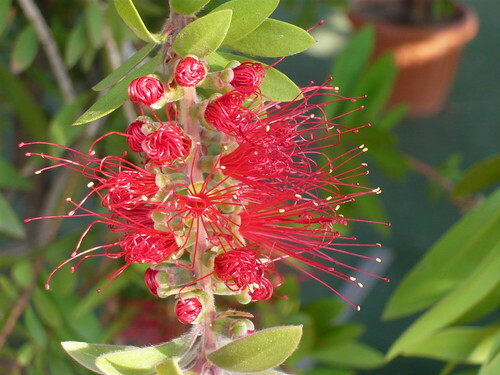 The Australian Bottlebrush and New Zealand Tea Tree thrive alongside the oldest surviving 19th century feature of the original layout, the formal rose garden edged with box hedging. Trebah Garden near Falmouth in Devon benefits from a micro climate created by a deep valley. Tree ferns, gunneras, bamboo and tall Chusan Palms. The camellia collection looks good in spring and Camellias have justly earned their title as ‘Queen of the Winter Flowers’. These beautiful blooms range from deep red to white with all shades of pink in between. They can be found along Camellia Walk, Petry’s Path and Badger’s Walk. Abbotsbury Tropical Garden near Weymouth is a 20 acre garden filled with rare and exotic plants from all over the world and was established in 1784. The gardens are well regarded for the Rhododendron and Hydrangea collections plus the charming Victorian Garden and Swannery. Abriachan Garden is at the other end of the UK near Loch Ness. The garden and nursery is full of plants from the countries where the owners have previously lived and gardened…….Olearias, Pittosporums and Flaxes from New Zealand; Tea berries and Diddle-Dee from the Falkland Islands.